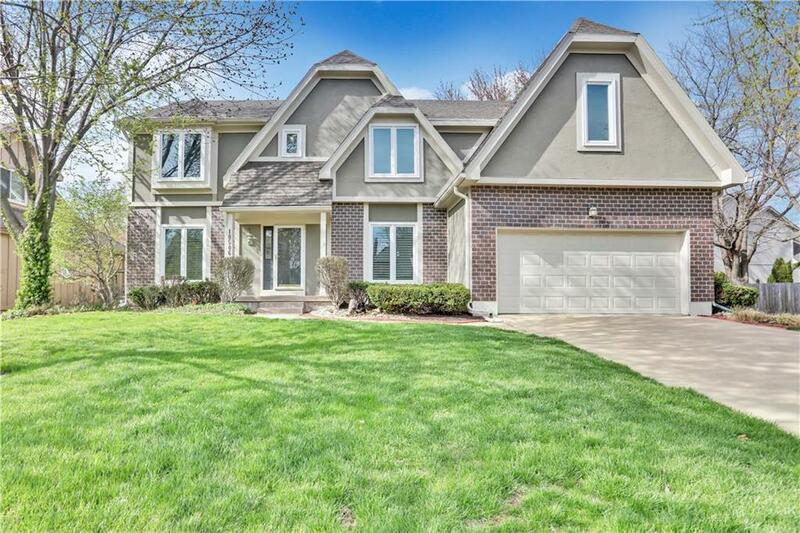 BEAUTIFULLY UPDATED IN THE HEART OF OVERLAND PARK!! Family room w/ see through brick fireplace to hearth room! Kitchen features wood floors, granite counters, pantry, cooktop, backsplash and stainless appliances. Breakfast room and formal dining room. Master bedroom has ceiling inserts, sitting area and private bathroom with BIG walk in closet. All secondary bedrooms with private bath access. Lower level has HUGE family room, wet bar and office. Private yard with patio! Close to shopping, highways and restaurants! Directions: Switzer to 129th Street, West to Melrose, North to 128th Terr, West to Home on North Side of the Street!